Garden Photo of the Day: Come see hydrangeas and much, much more! Come see hydrangeas and much, much more! I hate to admit it, but I am a copy-cat designer. Well, actually, I'm no designer at all. But, if I see something in a garden, I know that very instant that I want to do the very same thing in my own yard. For instance, once I drove over to a big development to pick up a friend. I got lost and ended up on a little dead-end street. It turned out to be fortuitous. I saw the climbing hydrangea Schizophragma hydrangeoides 'Moonlight' growing horizontally on a waist-high iron fence. The vine was in full bloom, and took my breath away. I have a 'Moonight' going up a tree, and I'll leave that one, but I still want to do that same fence thing as soon as my ship comes in so I can afford the ironwork. That's the fun of going on these garden tours. It's a great way to get ideas and solve problems in your landscape. The garden of Gloria Ward, president of the American Hydrangea Society, will be on tour this year. Gloria has been working for 15 years on a challenging lot. Like so many homes in the Atlanta area, the front yard is sunny and fairly flat, but the back yard slopes down away from the house. Gloria has worked with the topography and has created several unique spaces that mostly involve hydrangeas. 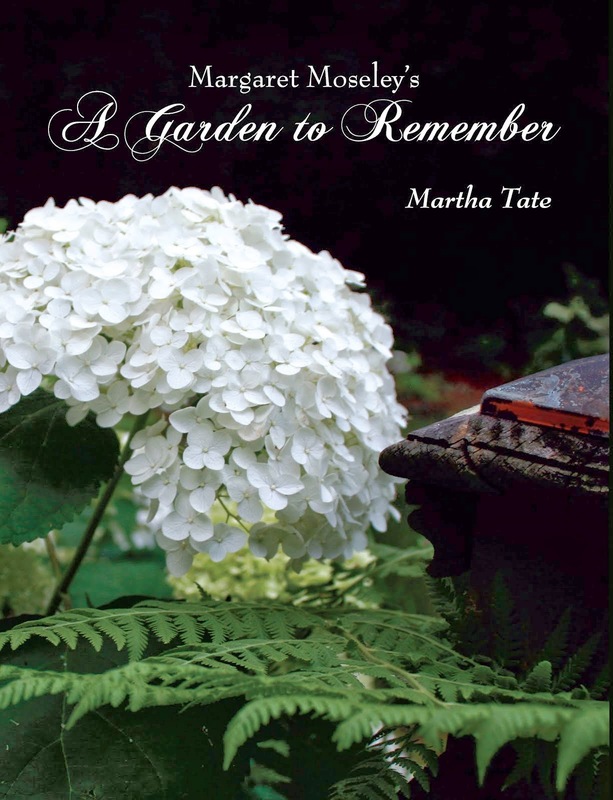 Claiming Margaret Moseley and the late Penny McHenry as her mentors, Gloria has collected hydrangeas for years and has just about every species or cultivar represented in her innovative garden. The scene above is in her back yard and is a "garden room" decorated in bright blue. In this area, and elsewhere in the gardens which surround her house on all sides, Gloria has created interesting vignettes - all incorporating hydrangeas. She has also created a charming parterre garden, which is flanked on one side by a row of Hydrangea arborescens 'Annabelle'. One of Gloria's specialties is "fairy gardens." When you go to her house this weekend on the American Hydrangea Society's annual tour, you'll see these little "homes" which include miniature plants and tiny landscapes. The one you see above was made especially for the blue container which echoes the blue of the surrounding lacecap hydrangea. And, be sure to check out Gloria's climbing hydrangeas. My heart leapt when I saw them going 40 feet up into her giant trees. Spectacular. 9:00 a.m. to 5 p.m., rain or shine. The tour includes seven lovely hydrangea gardens - three in East Cobb, one near East Cobb, just inside Roswell, two off Briarcliff Road in the northeast area and one in Buckhead. The brochure tickets contain all the information and locations. Tickets: $30 for one person includes a year's membership in the American Hydrangea Society and its informative meetings and newsletters. $40 for two tickets and a family membership for a year. The tickets will be sold in two gardens that day only, from 9 until 2 p.m.: Garden #1 at 2157 Lebaron Drive, NE, Atlanta 30345, and Garden #7 at 530 Trailside Court, Roswell 30075. At these same two gardens, you'll also be able to buy those wonderful jagged Kombi (I can testify as to how great they are) shovels ($35) and trowels ($15) while supplies last. Orders will be taken if we run out. So bring your cameras and notebooks. The only drawback is the gardens are not wheelchair accessible. We hope to see you there. I'll be posting some photographs here on this blog and on Instagram (I'm about to get started with that soon). Also, this will be "Hydrangea Week" on this Web site. I got more good pictures at Margaret Moseley's just this morning. See you on Saturday!